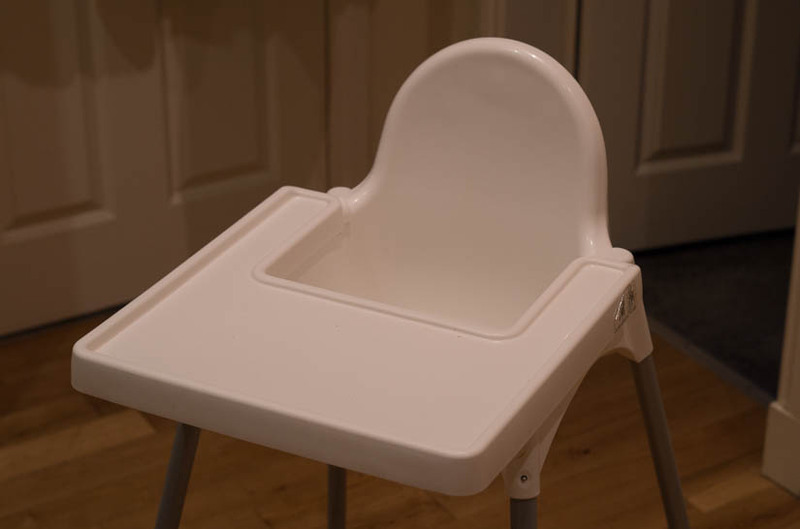 It’s been a few weeks since I wrote anything baby related, so I’ll treat you to a review of the best value child-thing you’ll ever buy: the £13 IKEA Antilop high chair. 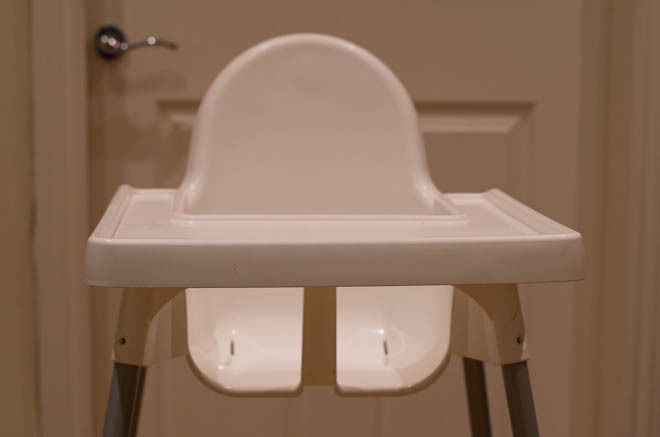 Anyway, back to the high chair. You’ll find these absolutely everywhere. 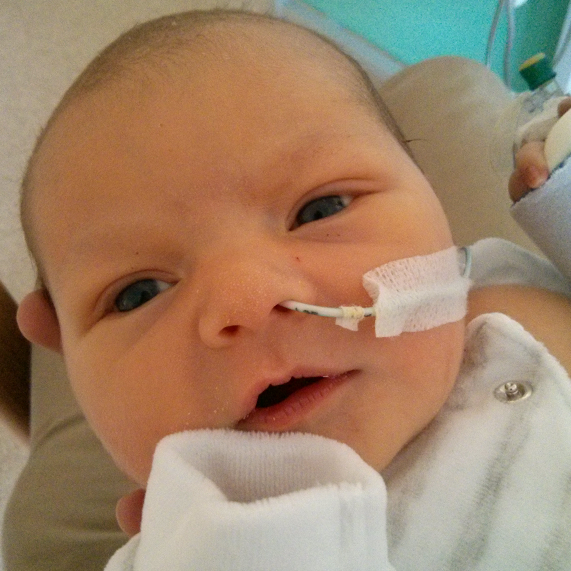 I reckon half of all cafe high chair are Antilops, and for good reason. They’re sturdy, lightweight, stackable (less of a bonus for the home user, admittedly), and have no awkward nooks and crevices to trap last night’s pasta sauce. 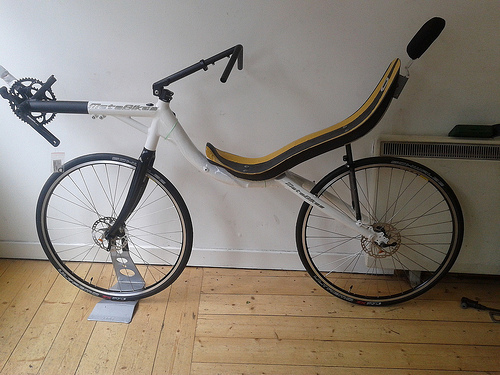 The legs pop off with slightly awkward push-button-hole-things, making the entire thing pack down into a remarkably small space if you’re travelling. You know, these things. Obviously. There is a three-way lap belt, which you can thankfully remove for ease of cleaning if you don’t intend to leave your child unaccompanied. 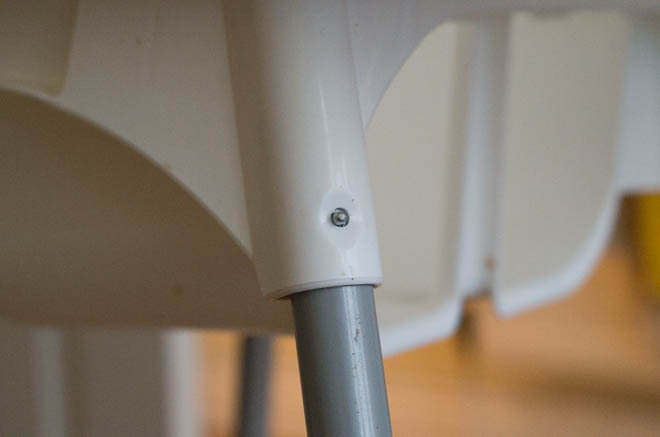 The tray detaches relatively easily if you want to push the chair right up to a table, and all the edges are rounded. Ably demonstrated here by my glamorous assistant. I’m running out of things to say. 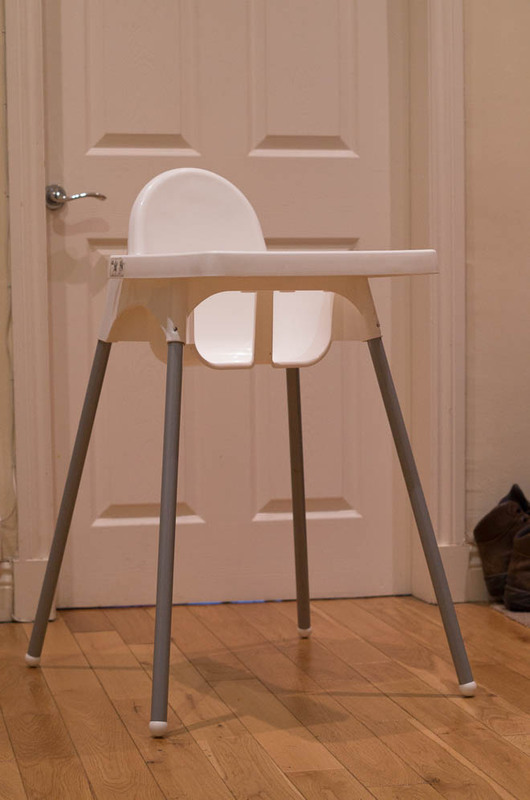 It’s a £13 high chair. Unless you absolutely must have one that matches the décor of your dining room, just grab this and treat yourself to a bottle of wine or two. 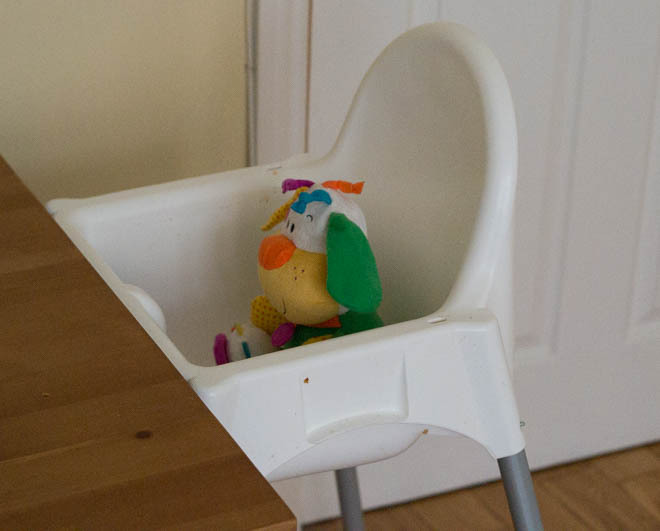 Additional bonus: you’ve got a good chance that the high chair in your favourite eating establishment will now be a familiar place for your little cherub.